RS Renewables Ltd is headed up by Rob Such B.Sc MIET is a renewable energy consultant with more than 30 years experience of working with complex technical solutions and a variety of customers from a broad range of industries including banking, telecoms, utilities and manufacturing as well as public sector clients. He is experienced in solar PV and small to medium wind projects, hydro electric and all forms of renewable heat generation. Rob works with clients as their “trusted advisor” translating the language of technology spoken by the renewable energy technology providers into business benefits understood by board members and senior management.For further details of projects and customers and to download case studies visit the Projects page. Rob works with a network of associated consultants that expand the range services he can deliver. 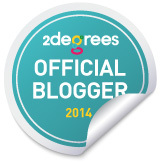 Read Rob’s blog entries on the 2 Degrees Network website. All the blog posts are here as well. Here is a video that includes an interview with Rob talking about residential battery storage systems. “In my experience of working with Rob Such, I found him to be diligent and focussed, and always offered a highly efficient service to E.ON. Rob has an exceptional knowledge of renewable technologies and has helped E.ON to establish an embedded delivery team. A highly professional and detailed individual, Rob will always deliver first class results. “ Jamie Brookes, E.ON Sustainable Energy Solutions. “Rob did a great job managing a complex multi-national project. He bridged the gap between different languages and business cultures.” Phil Davis, Co-owner Segen Operations España S.L. Making homeware from reclaimed materials. A multi-disciplined sustainability and renewable energy consultancy. Earth – Heat is extracted using a ground source heat pump, energy crops are grown in the earth. Air – The wind powers wind turbines, air source heat pumps extract heat. Fire – The sun is a ball of fire providing solar energy in many forms, biomass is burnt to produce heat.